Questioning the authenticity of influencers is nothing new. But what happens when the influencer is really not real? That’s right, virtual reality influencers are now a reality. 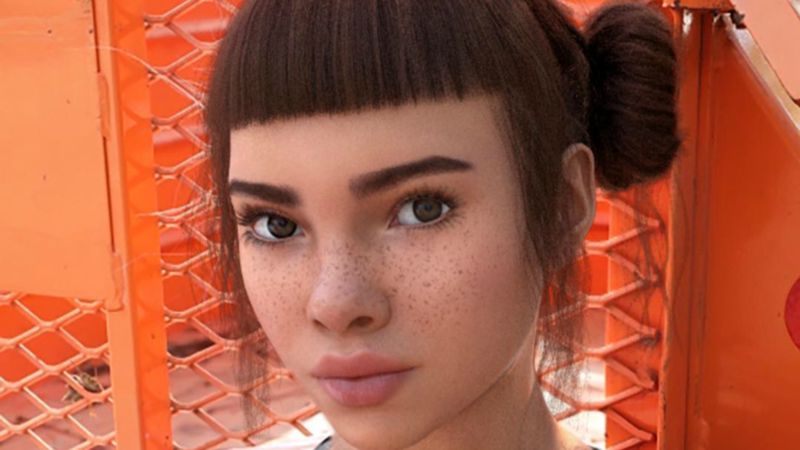 Meet Miquela Sousa, or @lilmiquela as you may know the 19-year-old Brazilian-American. We make the assumption you may know her because she has more than 1.2 million Instagram followers, has appeared on magazine covers, works with luxury brands like Prada, has three singles on Spotify and iTunes, and is often adorned in outfits real human fashion bloggers would probably kill for. She wears Chanel, Supreme, and Vetements to the coolest eateries in Hollywood with other, real human influencers, all the while campaigning for social equality and encouraging her followers to donate to the causes she champions. Her friend, Ronnie Blawko – @blawko22 – is equally as progressive, stylish and Gen Z with his 50,000-and-counting following. They are both the work of Los Angeles artificial intelligence and robotic company Brud, which denies also being behind the influencers’ frenemie, the Trump-supporting and one-time-hacker, @Bermudaisbae. Then there is Noonoouri, who walks the runway for Chanel, does Insta takeovers for Dior, showcases the latest model Fiat by driving it herself, and counts Naomi Campbell amongst her followers. Fashion Photographer Cameron-James Wilson told Harper’s Bazaar journalist Divya Bala how his own creation, Shudu, provides an opportunity for “digital selves to surpass our physical selves”. Described as “the world’s first digital supermodel”, Shudu has 123,000-plus followers. “I love this idea because in 3D we can be anyone. We can leave behind all the labels we’re born with and create our own,” Wilson says. Okay, so there is merit in the artistic expression – and it is not entirely surprising for the curators and creators of artistic expression, the fashion industry, to experiment with something new like this. But some marketing and business experts say this new generation of influencers raises some hefty ethical questions. CNN reporter Kaya Yurif looked into the matter and found it to be unclear if brands were paying Brud for partnerships. However, in at least one case – Miquila’s collab with Highsnobiety on a shirt – the company was. However, others liken the CGIs to mannequins or even surgically enhanced models and influencers – Kylie Jenner’s infamous Lip Kits, for example, do not give you Jenner’s infamously (no longer) lip-fillered lips. Plus, no matter the Instagrammer’s basis in reality – their followings are as real as Jenner’s: And that’s the key ingredient to any influencer partnership. As long as the relationships between brands and influencers are transparent, and audiences are engaged by the new and exciting content – what’s the harm in a little bit of experimentation? Previous PostThese flops are taking offNext PostThanks for subscribing to this Facebook Group, please enter your credit card details here.